A reasonably late start saw us on our slow way back home, leaving the mist, drizzle & coolness that we’d experienced over the past few days behind us & off into clear blue skies & very hot summer sun. Lunch was very elegant… lounging in the sun with a baguette… at a motorway service station! As regular readers will be aware, WW2 research is often interspersed with beer & breweries… & the trip back was no exception. 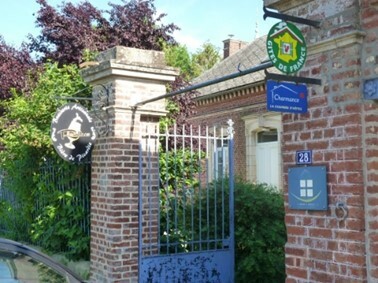 We’d booked to stay overnight at the Rollus brewery in the village of Louvrechy, south of Amiens in the Picardie Region of France. The brewery is based in a hundred years-old barn at the side of the main property which holds the accommodation & eating area. 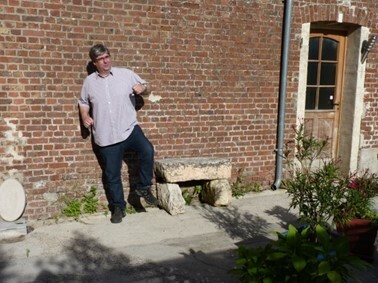 Unfortunately, when we arrived, the owner & brewer – Laurent Widcoq – was out, so we made ourselves at home in the rear garden – continuing to bask in the warm sunshine – awaiting his arrival. If you’ve never seen the original, here’s a You Tube clip… https://www.youtube.com/watch?v=STHKFlO-zBw The reactions from 2:26 onwards are excellent! 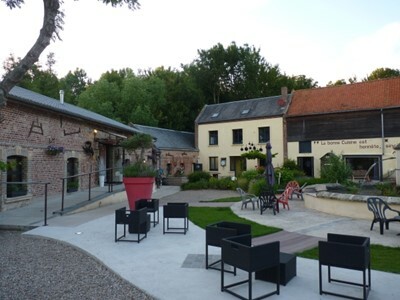 After Laurent had arrived & showed us to our rooms – which were very nice – we went out for some food at the Moulin des Ecrevisses which Laurent had recommended – an elegant local restaurant set around an old mill complex: http://lemoulindesecrevisses.com/. 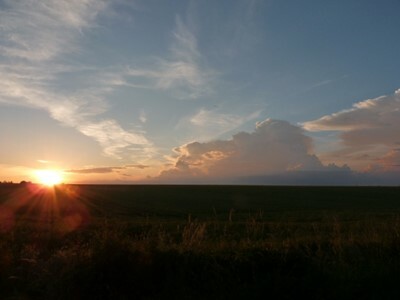 Returning to the brewery, we noticed that lots of Thunder Clouds had arrived, following us up from Normandy, perhaps? But providing a great sunset . It’s a tough job, this researching… aren’t you glad that you have someone to do it for you? 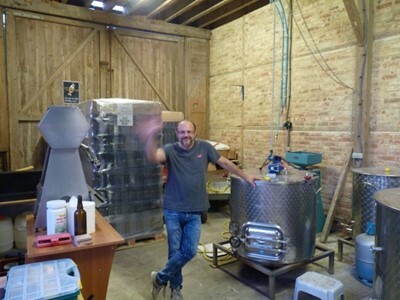 This entry was written by ColinAuthor, posted on November 29, 2018 at 11:52 am, filed under Normandy Trips and tagged Brewery, Moulin des Ecrevisses, Rollus Brewery, Spinal Tap, Stonehenge. Bookmark the permalink. Follow any comments here with the RSS feed for this post. Post a comment or leave a trackback: Trackback URL.